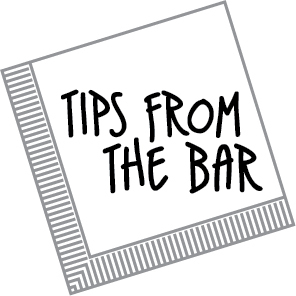 Tips from the Bar: a weekly prompt series by bartender Adam Stone. The Tips from the Bar series is a weekly writing prompt offered by Cantab Lounge bartender Adam Stone. Adam has been dispensing optional Wednesday prompts on the Boston Poetry Slam open mic since about 2008. We’ve recorded them here back to the beginning of 2011. Click here to see archived Tips. Click here to see a random Tip.